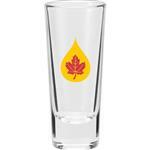 Promotional Shot Glasses in a 2.5 oz size with your custom logo. Thick bottom with a straight edge modern design. After a few shots though, you may not care about the design! A great larger shot glass. 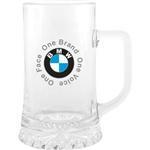 Great for your next bar promotion or summer event! Dimensions: 4-1/8" x 1 1/4". 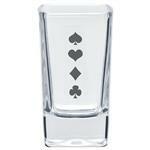 Typical Imprint Area(s): 2 x 1-1/2 x 3-1/4"
2.5 oz cordial shot glass with your custom logo by Adco Marketing. 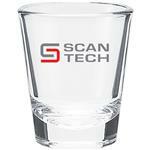 A great promotional shot glass. Large size. 144 per box at 48 lbs.